John Leslie "Wes" Montgomery was an American jazz guitarist. He was born March 6, 1925, in Indianapolis, Indiana, as part of a musical family including his brothers Monk (string bass, electric bass) and Buddy (vibraphone, piano). He died of a heart attack on June 15, 1968. Montgomery is best known for his unconventional technique on the guitar, which uses octaves and block chords to great extent in his solos, and by plucking the string with his right thumb in place of a pick. Montgomery is best known for his unconventional technique on the guitar, which uses octaves and block chords to great extent in his solos, and by plucking the string with his right thumb in place of a pick. These techniques, the product of his self-taught method which would have likely been discouraged had he taken formal lessons, resulted in a unique voice on the guitar. The bulk of Montgomery's recording career as a leader can be characterized in three parts. First, from 1959 to 1963, he recorded in mostly small group settings for the Riverside label. From 1964 through 1966 he was signed to Verve Records where he was recorded with big band and orchestral backing. After Verve, Montgomery seemed to abandon jazz and recorded mostly AM radio friendly instrumental pop, a precursor to smooth jazz. These later sessions were released by A&M Records. 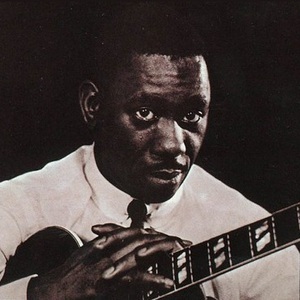 By picking up where pre-bop/swing guitarist Charlie Christian left off, Montgomery is arguably the most influential modern jazz guitarist, many well known guitarists today list him as a major influence, including Pat Martino, Lee Ritenour, Pat Metheny, and George Benson.